This initial disk measures .35 inches or 8.9mm. It is small and delicate, but it is not a thin disk. I will hand stamp the disk with the initial of your choice. Please let me know the font of your choice (see the 4th photo for reference). If no choice is given The Elegant font will be used as default. You may also choose a one or two digit number instead of an initial. If you choose a number, you must let me know what number to use before the order can be filled. I can only stamp one side of this disk. *Please note the sizes of the fonts shown in the photos. If you choose a 2mm lowercase font it will be very small. Additional charms sold with this necklace are 6.00 each. This necklace comes with a beautiful 14k gold filled cable chain in either 16 or 18 inches. You can let me know which you prefer in the "note to seller" field during checkout. If no selection is made, I will use the 18 inch chain by default. This piece would make a wonderful bridesmaid gift, or a personalized gift that will last a lifetime if cared for properly. It comes gift boxed. If you choose gift wrapping I'll wrap each box in silver foil paper as shown. Excludes chain extenders, ring sizers, and destash items. These hoops are just what I have been looking for! Comfortable to wear, not heavy at all. They are a perfect size,absolutely beautiful. They are of high quality silver, and you,ll love the hammered look. So happy with my purchase. they shipped very fast and packaged so nice for gift giving. Thank you for another pair of amazing ear rings! I will be buying from this shop again. I love these pen ear rings so much that I turned around and reordered a larger pair! so comfortable to wear,perfect size,details are spot on,fun to wear, lots of compliments,high quality, girls you will LOVE these ear rings. Shipped very fast,packaged so nice. Thank you so much for the extra gift, I love them! Very cute earrings, just what i was looking for. Fast shipping and an overall very good experience! I Love,love,love these tiny ear rings! Beautiful and the craftmanship is awesome. Shipped very fast, high quality. Will be fun to wear,packaged nice for a gift. Thinking about ordering another pair! We accept credit cards through Etsy's Direct Checkout and PayPal as our methods of payment. Payment in full is required before work can begin on all custom orders. No item may be returned without contacting me first. Returns are decided on a case by case basis. Buyers pay return shipping unless the fault lies with me. All items may be subject to a 20- 30% restocking fee to cover materials lost. *Custom means, your choice of name, word or spelling, your choice of stone, color, and/or size. The only jewelry I sell to the EU is considered "custom" (it is made in your size, with your choice of stone, with the finish or changes you requested, or personalized for you), this means the item is not returnable under the European Union Directive on Consumer Rights, right of return. This right does not extend to custom-made products and certain perishable goods, unless otherwise specified by the seller. If you wish to cancel please do so within 1 hour of purchase as once made there will be a minimum 20-30% restocking fee to cover time making and materials. There are no refunds once mailed. Once the item arrives in many cases your local post office will hold it for collection of VATs. Please check with your local post office in a timely manner to see if the item might need to be picked up. No refunds will be given on orders not picked up or refused and returned to me. ALL INTERNATIONAL BUYERS: Please know your country's policies on collection of taxes for goods bought from the USA. This shop is not registered to collect them for you and you may be responsible for paying them upon arrival of your goods. I ship first class via USPS. Domestic first class shipping is free. Upgrades are available to purchase if you choose. International orders marked as "gift" will include either a gift message if requested or a receipt without pricing inside the packaging. The shipping label will still show pricing in order to comply with custom laws. Packages over 100.0 include signature confirmation by default. USA: Please make sure your address is confirmed by the USPS, otherwise it might cause delays in shipping. Please do not use a business mailing address unless it will be delivered directly to you in your suite or room. Packages delivered and then not received by the recipient because of using this type of address are often lost and not found as a result. All packages lost in the mail are covered however insurance requirements must be met before the loss can be claimed and/or items are replaced. This can take from 20 to 45 days depending on where the item was shipped. All claims must be filed by both the seller (me) and the buyer before being processed. Thank you for understanding. Please do not ask for word jewelry containing profanity or blasphemy. The transaction will be canceled. Please note that when making names, I will not always "dot the i". 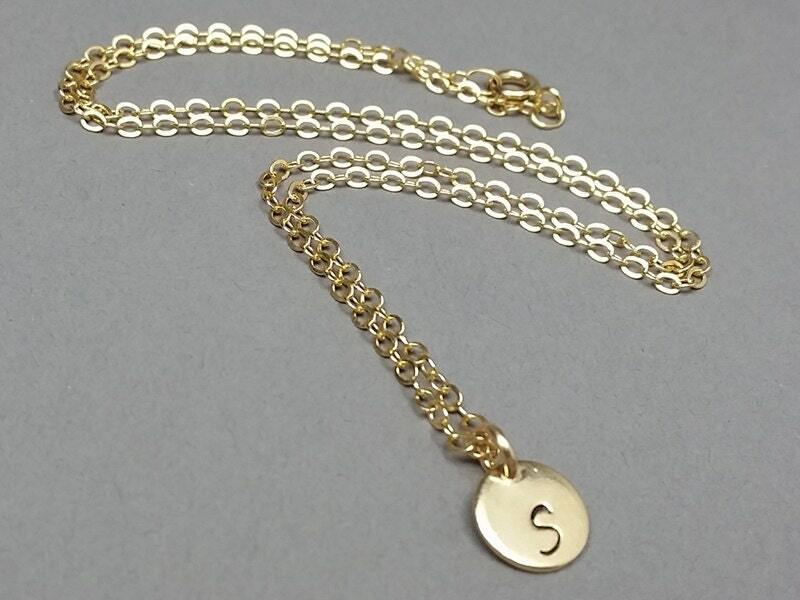 If the name is on a regular necklace or bracelet with a chain it will be dotted. If the name is on a calligraphy necklace, tiny necklace, bangle bracelet or a ring it will not be dotted in most circumstances. The only exception to this is if the name cannot be read unless the i is dotted. For example the name "Levi" without a dot looks like "Lew". By purchasing a personalized name or word piece of jewelry you are agreeing to this policy unless you have spoken to me prior to purchase. Also note that the colors of the genuine gemstones used in many pieces may vary from photos according to current stock. It is recommended that you remove jewelry for exercise, swimming and bathing, etc. Protect it from things like detergent, sweat, cosmetics and hairspray. A soft jewelry cloth is most often recommended for jewelry care. In many cases a soft toothbrush and soapy water will clean jewelry. Please ask about a specific piece if you do not know how to care for your jewelry. Custom orders are made specifically for you and are not returnable. Custom orders include rings in a specific size, names, initials and words, and other items that are designed specifically for you. If you don't know your ring size, it is highly recommended that you go to a fine jewelry store and ask them to size your finger. Sizes vary on each hand so be sure to get the correct finger sized. We do not offer wholesale. If you ordered from outside the USA please know that some countries do not allow tracking after it leaves the international airport in the United States. EU buyers- please note Etsy (not me) has posted prices as VAT included "where applicable" when showing prices. I am in the US and cannot legally collect VAT- you will be charged VAT when your item arrives and in most cases it will be held for you to pick up and pay them at your local post office. The price shown likely does not reflect the price of the VAT. Items being shipped from the USA to other countries can take from 1 to 6 weeks to arrive depending on the destination, although the latter is unusual. Please refer to my policies for further information.